Today I got a delivery of five Perry's flavors, 2 big containers (both new) and then six pints (2 x 3 flavors, 1 of which is new). I was in a vanilla mood tonight, but then this called to me. I take one bite and it bites back! Whooo! 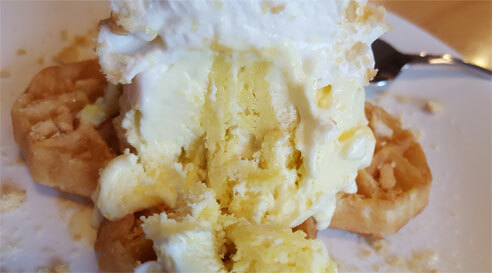 Lemon Meringue pie in ice cream form! I know I am suppose to wait a day before eating this but I'm hungry. It's a surprisingly light texture. It doesn't feel heavy in the hand or on the tongue. It's not a dense super premium product, but I think the lighter, mainstream texture helps convey a pie filling vibe. I've had a few cookie swirl bites and I'm still trying to figure it out. Instead of a "golden" cookie swirl, it's lemon cookie swirl so even though this is a lemon ice cream, there is still this almost unexpected lemon burst when you get the cookie. (yes, the swirl is very bright yellow, like yellow highlighter yellow). I like it. It's just bright and fun (aka it will be a bit too bold for some). 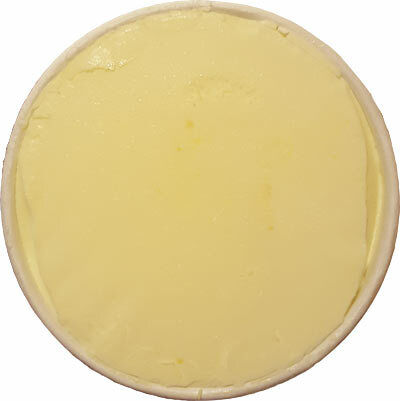 I enjoyed Talenti's mild take on key lime pie, but a flavor like this just wakes you right up. I don't know how to scoop a flavor like this and not be giddy. How do you eat this with a frown on your face? that's just wrong. so wrong. Nice job Perry's! On Second Scoop: If my second serving goes in to a sundae, I don't usually use that as my true test of the product, but I noticed something important. I got in to the heart of some pretty thick swirls and something happened. The swirls are so potent, that they come across as salty. Granted I can be weird, but I poked around and sure enough, the strong swirl was messing with my tastebuds. This isn't about to stop my enjoyment of this flavor, but now I know to make sure to be a little more careful in making sure I get a balanced scoop of both swirl and base ice cream. I very much enjoyed my sundae and may wind up making another one tomorrow. Oh my!! this is my favorite ice cream of any that I have ever tasted in my 63 years of life... 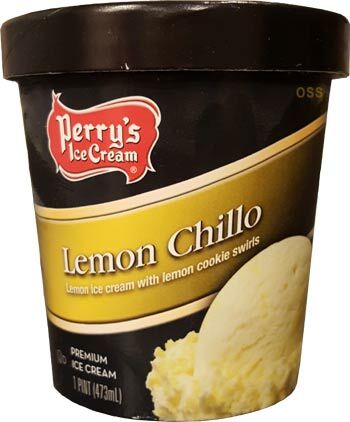 I had to search your site to see where to go to get this flavor and I would drive beyond my furthest distant that I have ever driven for ice cream just to get this flavor. Love love love it.. would like to be informed where I can buy it in a large amount? Please contact Perry's directly, they are very friendly!